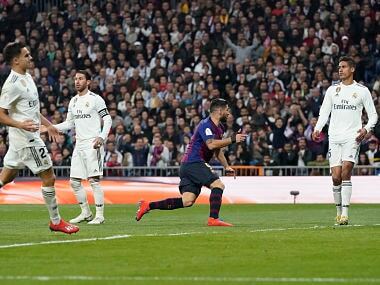 The onus will be solely on Real Madrid as they try to find their feet again in a league which is constantly evolving, yet getting dominated by Barcelona. 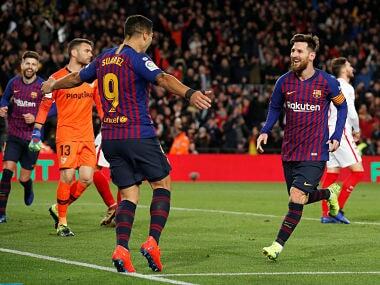 Lionel Messi believes Barcelona showed their appetite for the Copa del Rey by blowing away Sevilla to pull off a brilliant comeback and book their place in the semi-finals. 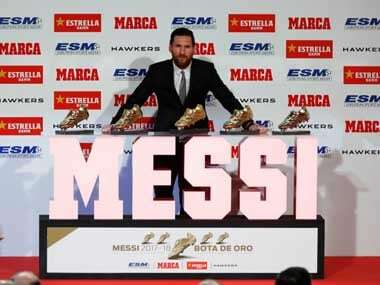 Lionel Messi, who also earned the Golden Shoe award in 2009-10, 2011-12, 2012-13 and 2016-17, led Barcelona to a league and cup domestic double last season. Lionel Messi's Golden Shoe award ceremony was attended by Barcelona president Josep Maria Bartomeu, as well as fellow players like Sergio Busquets and Sergi Roberto. 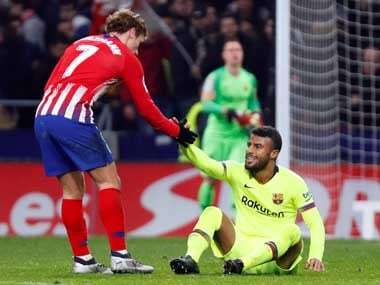 Rafinha has not been a regular in the Catalans' starting line-up this term having only featured on eight occasions for the La Liga leaders Barcelona. 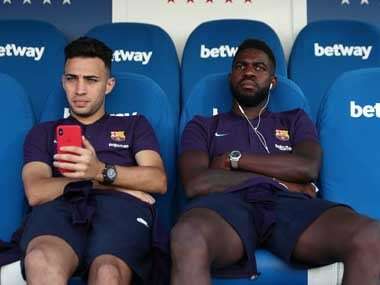 Samuel Umtiti missed 10 matches before playing against Atletico, with 23-year-old Clement Lenglet, a summer signing from Sevilla, taking his place alongside Gerard Pique. Barcelona did not offer a timescale for Rafinha's recovery but anterior cruciate ligament injuries often take several months to heal. 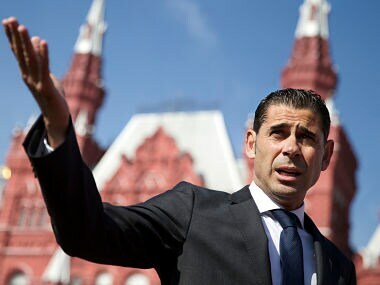 The 50-year-old Hierro, a former national team player and Real Madrid captain, had been acting as the federation's sports director and was already in Russia with the national team. 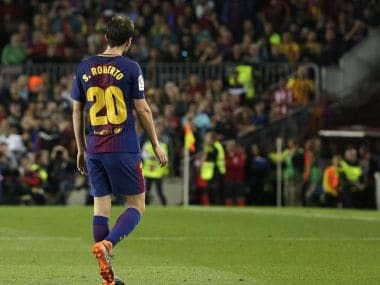 Barcelona defender Sergi Roberto will miss the rest of the Liga season and the first match of the next campaign after being given a four-game ban for striking Real Madrid’s Marcelo in last Sunday’s tension-filled 2-2 draw at the Nou Camp. 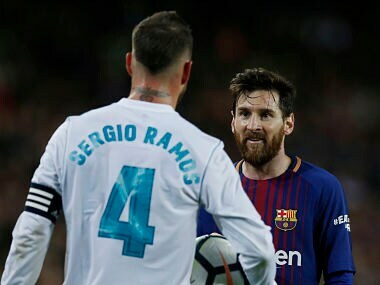 Real Madrid captain Sergio Ramos said Barcelona forward Lionel Messi put pressure on the referee at halftime in Sunday’s thrilling ‘Clasico’ at the Nou Camp which ended 2-2 after a series of controversial decisions.